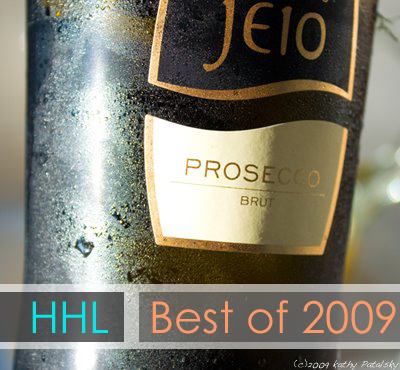 HHL Best of 2009: Top Vegan Recipes and More. Number One (Non-Recipe) Post. The number one (most traffic) non-recipe blog post of 2009 was: Wii Active vs. Wii Fit vs. Life. I wasn't surprised so many people were googling about whether or not to purchase a video game system to help them 'get fit' this past year. I am personally not a huge fan of video games as a main source of fitness, but you can read my full blog post for all the info on this timely technology/wellness topic. Number One Recipe. You loved it and I love it. The number one rated recipe of 2009 was my Spicy Verde Lasagna. It's oh so good. And oh so vegan. Note: this was also my number one overall ranked blog post of 2009. 2. Chipotle's Vegan Garden Blend Grill, Welcomed in DC! 3. Blender Review: Vita-Mix, Blendtec vs. Oster Fusion. 4. Mango Nutrition Facts: Super Fruit, Tropical Delight! 6. Vegan Thanksgiving 101: Tips, Advice and the Basics. 7. Eco-Atkins Diet: Healthier Weight loss than Atkins. 8. Don't Eat Baby Carrots?! Chlorine and White Blushing. 10. Foods for your Mood Part Three: Purifying Foods! 11. Vegan Red Velvet Cake: Red Mango Bakery. My Review. 13. Watermelon 101: The Good. The Bad. The Ugly. 15. Blackstrap Molasses: Black Goo that's Good-for-You! 1. Spicy Lasagna Verde with Green Basil Pesto. Vegan. 2. Coconut Water Ice Cubes: Best Healthy Smoothie Tip! 3. Sweet Potato Tofu Hash. Vegan Comfort Food. 5. Recipe: Vegan Carrot Ginger Soup, Two Ways! 6. Tempeh Bacon Recipe. Vegan 'Facon' for All. 7. Vegan Thanksgiving Series: Main Dish Proteins. 15 Ideas. 8. Fruity Fizz White Sangria. 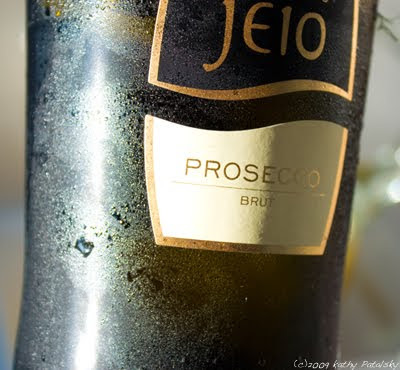 Healthy Happy Hour. 10. Sweet Fresh Corn Cake. Scoop or Loaf. Both Vegan. 11. Vegan Thanksgiving Series: Appetizer Recipes. Top Ten! 12. Zesty Lemon Custard Bars. Vegan. No-Bake. Zing-y! 13. "Back to School" Series: Ten Lunchbox Showstoppers! 14. Picnic Perfect Chickenless Salad Sandwich. Vegan. 15. Recipe: Chocolate Covered Strawberry Layer Cake. 16. Pineapple Enzyme Banana Smoothie. Happier Sinuses. 17. The Definitive Vegan Stuffing Post: Recipe Trio. 18. Pumpkin Spice Apple Pecan Muffins. No Oil Added. 19. Vegan Rice Pudding. Dessert and Breakfast Approved. 20. Vegan Ranch Dressing Dip. 21. Recipe: Sweet 'n Sassy Sweet Potato Pita Pockets! 22. Oatmeal Bake Tiki Squares. Kid-Approved Breakfast. 23. Kitchen Sink Granola Bars. 24. Top Ten Summer Sandwich Recipes! No-Cook Meals. 25. Kathy's Famous Sweet Potato Mash!